From breakfast pizza to tacos or dim sum and English roast, here are 10 great places in LA to grab brunch. 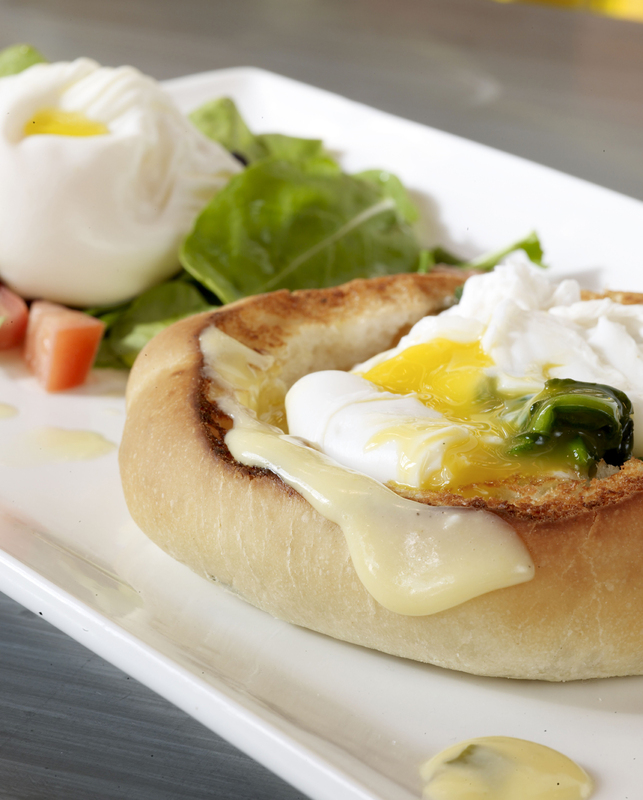 This Mediterranean inspired café offers two outdoor patios for a long-lingering St. Tropez-style brunch. Try the crispy Branzino or poached eggs with spinach and plenty of rose wine along with an impressive array of imported olive oils to douse on your food or purchase for home use. One of the best patios in town for a long leisure brunch with an artisan cocktail – or three, surrounded by lush herbs and greenery. Aussie chef Jordan Taft whips up native dishes bubble and squeak, spelt hot cakes along with baked beans for the ex-pats and a ‘big breakfast’ for Angelenos. Grab a communal table at this popular Eastside mom & pop neighborhood brunch spot for the pastrami hash with sauerkraut and fried eggs, deep dish quiche Lorraine or dive into the fried chicken sandwich with green tomatoes and pickles. Try a ‘Toad in the Hole’ (fried egg in toast) with smoked trout and horseradish cream or a frisee salad with bacon-lardon at this new Thompson Hotel American bistro named for the bold lead character in J.D. Salinger’s iconic Catcher in the Rye novel. For a heartier appetite, the chicken pot pie is your calling. Sean MacPherson of Roger Room and Bar Lubitsch fame has taken over the old Orso space and turned it into an under-the-radar Italian themed restaurant with a beautiful European patio – try to sit by the fireplace. Excellent linguini carbonara with pancetta, deep dish baked eggs with salsa and banana nut bread. The folks behind Barbrix in Silver Lake have lightened up the old Bistro LQ spot with an open kitchen, light woods and a full time baker on staff. 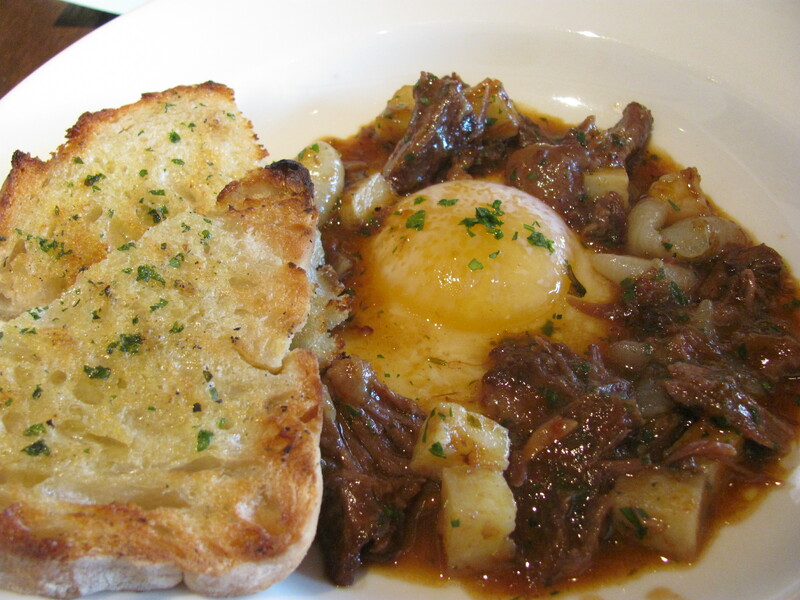 Order pumpkin pancakes, oxtail hash with a sunny side up egg and don’t forget the cheddar biscuit. Add something extra to your morning oatmeal besides berries. How about a Crème brulee crust served in a cast iron skillet? 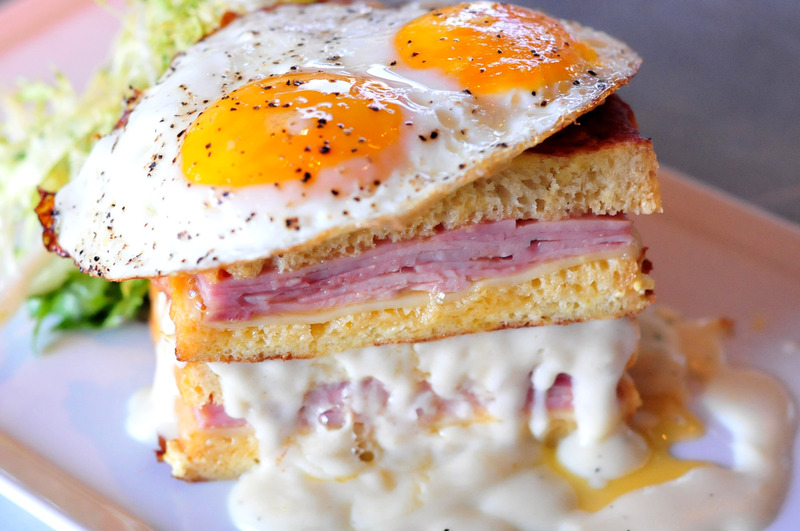 Or, opt for the most beautiful mile-high croque madam we’ve ever seen. The breakfast pizza topped with eggs, Fontina cheese, shaved prosciutto, and arugula that screams hang-over must have and you can wash it all down with the Fat (Bloody) Mary or choose from over 30 beers. Sometimes you just need a giant burger in the valley with bottomless mimosas. Head to this rustic, new eatery and add parmesan or sweet potato fries to you order. Other popular choices include frittata with roasted poblano, breakfast burritos, egg sandwiches and plain ‘ol waffles topped with strawberry, banana and whipped cream. An institution in Silver Lake for Chef Robert Luna’s ground beef pickle tacos that marry the Mexican staple with the ingredients of a burger – pure genius. Try the tacos with a selection premium tequila cocktails on the patio and don’t forget the order of chewy chips. This brunch should be billed ‘around the world dining in an hour.’ Start with Mexican quesadillas, Chinese dim sum, sushi, pasta, English roast, smoked salmon – and even a farmer’s market station fill over two rooms of buffet tables. The outdoor patio is a hot spot, so arrive early if you want to score a prime seat.